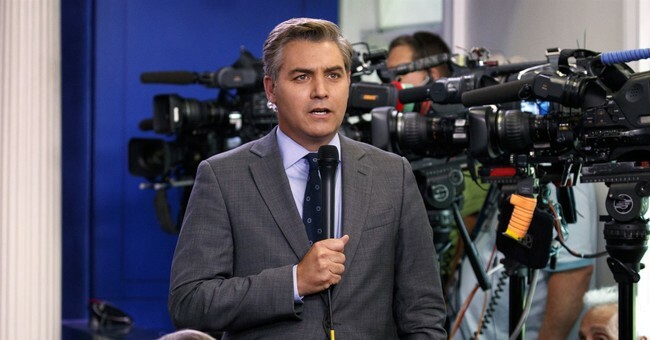 Federal Judge Timothy J. Kelly sided with CNN Friday in a narrow preliminary ruling ordering the White House to restore the hard press pass of CNN’s chief White House correspondent Jim Acosta after they revoked it due to an aggressive exchange with President Trump at a press briefing. CNN: Federal judge Timothy J. Kelly sided with CNN on Friday, ordering the White House to reinstate chief White House correspondent Jim Acosta's press pass. The ruling was an initial victory for CNN in its lawsuit against President Trump and several top aides. The ruling granted CNN’s request for a temporary restraining order in the case but did not rule on the claims that Acosta’s First Amendment rights were violated by the suspension of his press pass. Judge Kelly, a Trump appointee, said that his ruling was based on CNN and Acosta's Fifth Amendment claims, arguing that the White House did not give him the due process legally necessary to revoke his press pass. The ruling does leave room for the White House to provide the due process necessary to suspend Acosta's press pass as it did not address the First Amendment claims. Following news of the ruling, Acosta briefly thanked his colleagues and said it was time to "get back to work" outside the courthouse. After a combative exchange last week, the White House announced that it was revoking Acosta's press pass. White House Press Secretary Sarah Huckabee Sanders shared a video from the briefing, accusing Acosta of placing his hands on a White House intern who was attempting to take away the microphone he was holding. Some made the case that the video Sanders shared had been sped up but the White House maintains that Acosta's behavior at the briefing was inappropriate. The White House Correspondents' Association, Fox News, and other outlets sided with CNN in their lawsuit.